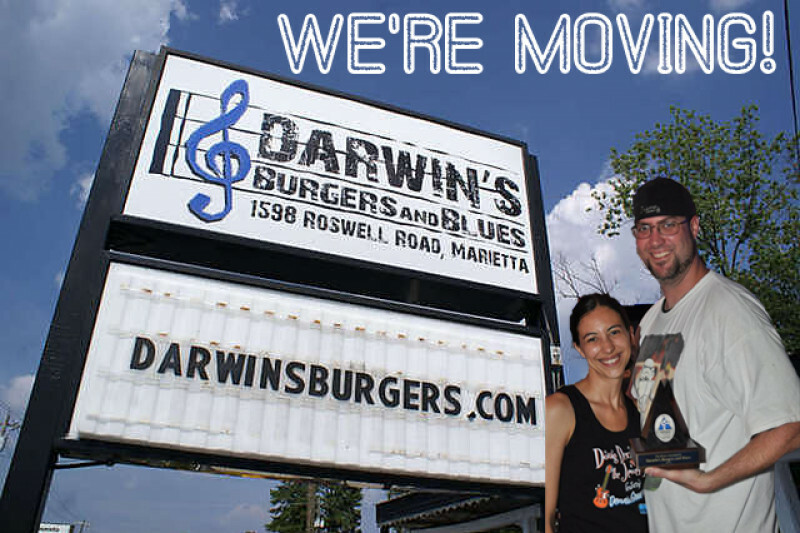 Darwin's Burgers & Blues, currently located in the 1500 block of Roswell Road in Marietta, plans to relocate to Sandy Springs next year. The restaurant and music venue originally opened in 1995 and was purchased by current owners Lindsay Wine and Jonathan Akin in 2011. Following their purchase, the new owners reportedly "invested time and money, and brought the club back to its original juke-joint popularity." Flash forward to present day and Darwin's landlord has reportedly refused to either offer the restaurant a lease renewal or allow for the owners to purchase the single, freestanding building from which they operate. Wine and Akin reportedly explored taking over the former Rocco's Pub, another music venue and restaurant, also on Roswell Road in Marietta, but found the space's rent to be in excess of what they could afford. Rocco's closed late last month just shy of what would have been their one year anniversary of reopening (Rocco's first opened in 1980). The new Darwin's is about 11 miles from their current location. Darwin's new home will be familiar to those in the Sandy Springs community as having previously operated as Steve's Live Music. The music venue, owned by musician Steve Grossman, operated for four years before closing this past June. The venue is located on Hilderbrand Drive, just off Roswell Road. Following the closure of Steve's Live Music venue, Grossman now provides music to assorted venues in Sandy Springs in addition to representing musicians. More information on his current offerings can be found here. Steve's had a very limited food operation, something in fact that led to its closure, but that means that the owners of Darwin's must start from scratch in assembling a kitchen. Although the space is a "second generation" venue space, it comes with little in the way of "furniture or equipment." As a result of this need, Darwin's owners have taken to social fundraising platform GoFundMe to seek financial assistance from anyone willing to contribute. Their GoFundMe page states: "We will need to purchase everything from sinks to fryers, ice bins to ice machines & rugs to pint glasses. Any small amount that you can give will help! Help us to continue the tradition of bringing the blues to Atlanta!" As of 3PM today, 53 donors have contributed nearly $5,000 of the business' $30,000 goal. It's rather ironic that a business called Darwin's is attempting to "survive" by soliciting donations from others. While not new (LGBT Bookstore & Coffeehouse Outwrite and premium chocolate shop Cacao both sought "donations" when their respective businesses were in "trouble"), I find it troubling that for profit businesses are using sites like GoFundMe to help fund their operations. Are you excited to see Darwin's relocating to Sandy Springs? 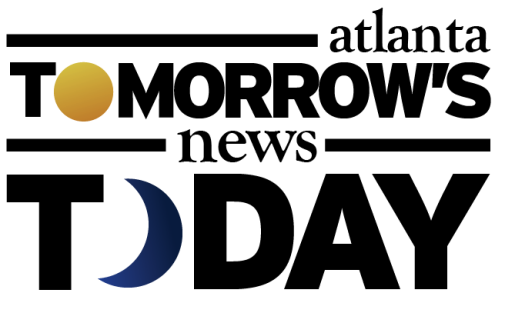 What are your thoughts on for profit businesses using sites like GoFundMe to aid their operations? Have you been to any shows presented by Steve's Live Music since the venue closed? Didn't know Steve's had closed. Darn. New location will be a mansion compared to Darwin's current space. This is great news. We very much a live music venue, with decent food, in these parts! This business should be a winner. I have no problem with them opening a go fund me account. Welcome to Sandy Springs. Steve's loved, loved, loved live music but the layout was not very functional for it. I can see why you'd need to crowd-source a capital budget for a refit, but you've GOT to do it right. For one that means not treating the funds as a personal piggy bank (which I've suspected when other DIY music joints in the region went the crowd-fund route) and being realistic about what you NEED to succeed. You don't have to open your books, but a little transparency will build goodwill and ultimately repeat biz. Come on! Darwin's was forced out of their home. This is not an establishment that churns a lot of cash. They run on tight margins and without a little help from friends and fans for just the basic equipment needed to get up and running in a new location, this cultural icon would likely be forced to close. I am happy to contribute to keep them going! Darwins is more than a bar,more than a restaurant,more than a even an above average music room....Darwins is the Heart of American culture... a rare breed of special folk that have touched the lives of the young and old....Faithful patrons will folow these dear people who have sweat and sacrificed to keep the music flowing and serve some great hand prepared food. I've introduced Darwins to a dozen or so people...we call it our happy place. Always greeted by big smiles and then never ever disappointed by the National and local talent provided ..I always wondered how they did it? Somehow they managed to capture the pulse of humanity in that tiny beloved shack...and now with this new opportunity we will do everything we can to support the owners.  We watched young music artists take shape..grow up and succeed because of the nurturing music community at Darwins...we feel our time there has paid great dividends to our soul...I hope others will join us and realize that a few dollars to this good cause is worth as much as any therapy appointment.. LOT OF VITRIOL from people over a very valid point. It is ironic that a place called Darwin's is begging for help. I don't think that anon @ 3:07 would lift a finger (let alone donate a dollar) to any of the chain establishments should they want to do the same thing. Facts are facts: unless this was a natural disaster or terrorism, for profit businesses -- especially those in business for a lengthy period of time -- generally should have the funds on hand to support any kind of operational expenses, which include relocating and/or expanding. This isn't done to support cancer research, so I definitely agree that it raises one eyebrow.